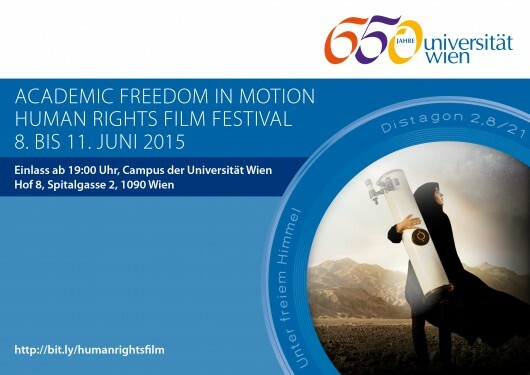 From 8th to 11th June 2015 the Human Rights Film Festival ACADEMIC FREEDOM IN MOTION took place in the context of the festivity "650 Years of the University of Vienna" under the patronage of Cornelius Obonya. The open air festival applied on the special relation beteen academics and human rights and dealt cinematicly with topics such as admission to higher education or university as places for student protests and motors of society transition. The Festival was organized by the Human Rights Research Center of the University of Vienna and the Ludwig Boltzmann Institute of Human Rights. Further Information on the Filmfestival can be found in the blog of the University of Vienna (in German) or here.